Many Christians have been deluded into believing that they can somehow “change or convert” the kingdoms of this world into the Kingdom of God. In the process they have put their energies and hopes into bringing about the Kingdom of God by working towards getting more influence with government in order to transform government. Some even believe that Jesus will only return once we have transformed the world and created the millennial Kingdom. In the study of Hermeneutics there are many principles to aid the student of Scripture, in the endeavor to discover truth. One such principle is called the first occurrence principle. The first mention of a subject in the Bible is often very significant for an understanding of that topic. Then following this topic through Scripture, a thread is often revealed and built upon until the last occurrence is mentioned providing a complete picture and comprehensive understanding of the topic in view. The first mention of the word “kingdom” is in Genesis 10:10 when it says of Nimrod that “the beginning of his kingdom was Babel.” It was at Babel that the tower was built with the intention of reaching Heaven and that to this day remains the prime example of man’s pride, self-sufficiency and rebellion against God. Babel was the precursor and type of Babylon, the false world system and religion, which is the domain of the Antichrist (Revelation 17 & 18). It was at Babel that God brought division between the nations and broke their rebellious unity. The fact that the first and last mention of the word “kingdom” both relate to the false world system which is united in its rejection of God and that both speak of that which is man-made with an emphasis on man rather than God is not coincidental. By definition any kingdom built by man is anti-god and anti-Christ. The kingdoms of this world have never been, are not and never will be God’s Kingdom. They have different kings, different citizens, function by different principles and laws and have different goals. When Satan tempted Jesus he “showed Him all the kingdoms of the world in a moment of time. And the devil said to Him, “All this authority I will give You, and their glory; for this has been delivered to me, and I give it to whomever I wish.” (Luke 4:5-6). Jesus did not deny that this was in the Devil’s power to do and thus He acknowledges that the kingdoms of the world do indeed belong to the Devil. There are many theories as to how and when the Devil acquired them, but the fact remains that they are his to give. Several times Jesus refers to the Devil as “the ruler of this world” John 12:31, 14:30, 16:11), confirming Satan’s dominion here on earth. Many Christians feel that things changed after the Cross and that the Kingdoms of the world are now under God’s control. But Paul (after the Cross) still refers to Satan as “the god of this world (age)” (2Corinthinas 4:4). John (also after the Cross) states emphatically that “the whole world lies under the sway (NIV – “control”) of the wicked one” (1John 5:19). Thus the Devil is clearly the one who is in control of the world kingdomes, its systems, its religions, and its governments. Romans 13 says that authorities are appointed by God and that they are God’s servants or ministers. This does not mean that they are godly, they clearly are not. Nevertheless God uses them to accomplish His purposes (Revelation 17:17). In Revelation 11:15 when the seventh trumpet is sounded it alludes to the kingdoms of this world becoming or morphing into the Kingdom of Christ. “Then the seventh angel sounded; And there were loud voices in heaven, saying, ‘The kingdoms of this world have become the kingdom of our Lord and of His Christ, and He shall reign forever and ever!’” The Greek Word for “have become” is ginomai and means, “to come into existence, begin to be, receive being.” The seventh trumpet presents the consummation of God’s reign and the end of all world Government, the end of Satan’s authority over the earthly kingdoms, and the end of Antichrist’s 1230 day reign as Christ is now King over one single Kingdom. It is the seventh trumpet which ends the 70th Week of Daniel and the final bowl judgments are instituted within the extended 30 day period given in Daniel 12. In the Garden of Eden, when the serpent spoke to Eve concerning the fruit of the tree of the knowledge of good and evil, he told Eve, “You will not surely die. For God knows that in the day you eat of it your eyes will be opened, and you will be like God, knowing good and evil” (Gen. 3:4-5) (emphasis mine.) Driven out of the Garden, Adam and Eve had plunged mankind into spiritual darkness, separation from God, and with it man now had an unquenchable hunger for power and an insatiable thirst for godhood. Looking at Babel, under the leadership of Nimrod, a global community was formed as “the whole earth had one language and one speech” (Gen. 11:1). The appeal to personal power and recognition is seen in the building of a tower “whose top is in the heavens (vs.4).” Man sought to make a name for themselves and thus, make a statement, we can rule ourselves absent of God. Late in the 19th century there appeared the arousal of spiritualism known as Theosophy. It is believed by some that Theosophy, having Pagan origin, is the revival of a philosophy communicated by the Nephilim of old (See Gen. 6). 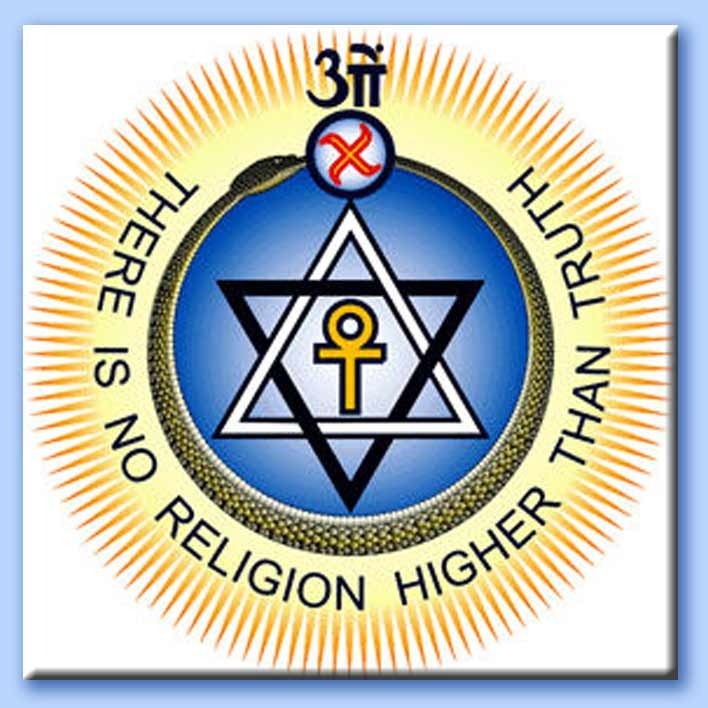 Theosophy is any of various forms of philosophical or religious thought based on a mystical insight into the divine nature and is the system of belief and practice of the Theosophical Society. Though they deny the existence of any personal God, their views and doctrine express an intuitive insight into the divine nature. Today we call this movement the New Age Movement, however, it’s foundation rest upon the teachings of Madame Helena Blavatsky, founder of the Theosophical Society. Blavatsky was heavily influenced by and involved in the supernatural and mythological. Through the use of intellect, mystical enlightenment, and by the teachings of the intermediary spirits, man will conqueror the earth and will himself become God. It is taught in every Masonic temple, every secret society, every secret brotherhood, every mystical temple, and every occult organization teaches the luciferian doctrine inspired by the ancient Egyptian mythology, Roman mythology, Greek mythology, Gnosticism and Western occultism. The world rulers will “be of one mind, and give their kingdom to the beast” (Revelation 17:17), will again bring the world full-circle where they once again are united against God and once again establish Babel/Babylon. 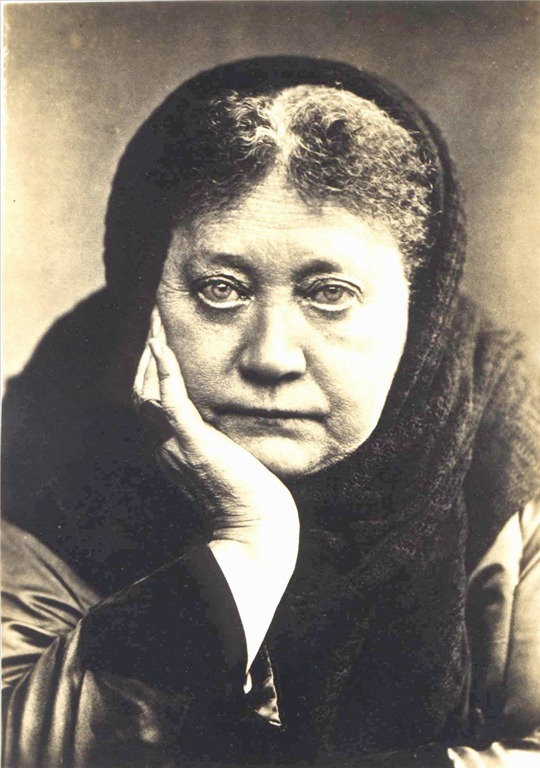 The Theosophical Society revived and codified the concept of the New World Order and today all New Age thought and doctrine is cradled in the early teachings of Madame Helena Blavatsky (ISIS UNVIELED 1877; A Magazine which she started in 1887 called “LUCIFER”; her principle work “THE SECRET DOCTRINE” was published in 1888; she also wrote “THE KEY TO THEOSOPHY” and “THE VOICE OF SILENCE”) It is said that her book “The Secret Doctrine” was channeled to her through an ascended master or highly evolved being. Though it is masked in secret societies, these teachings are openly advanced through political and religious institutions. The New Age World view has many components such as astrological and zodiacal beliefs, channeling higher powers to achieve knowledge, contemplative meditation, the belief that all is one, and all forms of monism, the belief that we can obtain godhood, esotericism/re-interpreting ancient texts to find hidden meanings and unify all religious belief into one, and the belief we need a one world system for the coming age. Today it has become a political agenda to create a one world system, one world government, one world economy, the unity of humanity, control over humanity and the submission of the masses to the elite. Theosophy, Freemasonry, and Marxism are all connected with the New Age Movement. In fact, Freemasonry viewed doctrinally, is Theosophy3. Many perpetrators of the New Age Movement have authored the coming of a world Messiah. Scott Nearing made a call in 1947 to shift society from nationalism to worldism asserting “The world man is here. 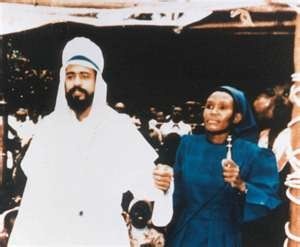 His coming has been heralded through the ages by far-seeing individuals who felt and dreamed and thought in terms of human solidarity.4 The “World Teacher,” an advanced spiritual entity and high-ranking member of a hidden Spiritual Hierarchy, the so-called “Masters of the Ancient Wisdom” is also proclaimed to appear on the world scene. According to Theosophical doctrine, one of the hierarch’s functions is to oversee the evolution of Humankind. In accordance with this function, the (Maitrea) is said to hold the so-called Office of the World Teacher. Theosophical texts hypothesize that the purpose of this office is to facilitate the transfer of knowledge about the true constitution and workings of existence. Reputedly, one way the knowledge transfer is accomplished is by Mailtrea’s occasionally manifesting or incarnating in the physical realm; the manifested entity then assumes the role of World Teacher of Humankind. The Messianic Maitrea is linked to both Buddhist and Hindu religious traditions. The plan of freemissionary and the theosophical society is to abolish Christianity and infiltrate World governments in its agenda to create a new world order of a united humanity with a single global authority. The express aim of the Illuminati, Freemasons, and Theolosophical Society Orders is to eliminate Christianity, and overturn all civil government. “But the future is now and the maneuvers are being unveiled. Christianity therefore as I say must either now come frankly forward and acknowledge it’s parentage from the great order of the past, seek to rehabilitate that and carry mankind one step forward in the path of evolution – or else it must perish, there is no alternative.”6 Acharya S.
Interesting is the use of the fraction “one-forth” and the use of the term “The pale horse, Death” used by Barbara Marx Hubbard. It may interest you to know just how remarkably accurate she is as this is exactly what Scripture describes as the Great Tribulation spoken of by the Lord Jesus Christ in Matthew 24:21 and meticulously recorded by the Apostle John in Revelation 6:7-8. G.H. 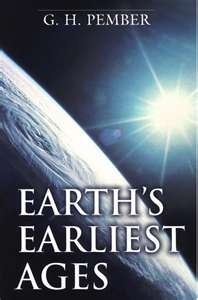 Pember in his book “Earth’s Earliest Ages” devoted an entire chapter on Theosophy, and the Doctrines and ambitions of the Theosophical Society. Even during the Societies formative years their growth and organization was such that it drew the attention of men such as Pember who devoted his entire adult life to the study of the Antediluvian age, it’s mysteries, and it’s reemergence upon the world in the last days. The objects of the Society were then set forth as follows. 1. To form the nucleus of a Universal Brotherhood of Humanity. 2. To study Aryan literature, religion, and science. 3. To vindicate the importance of this inquiry. 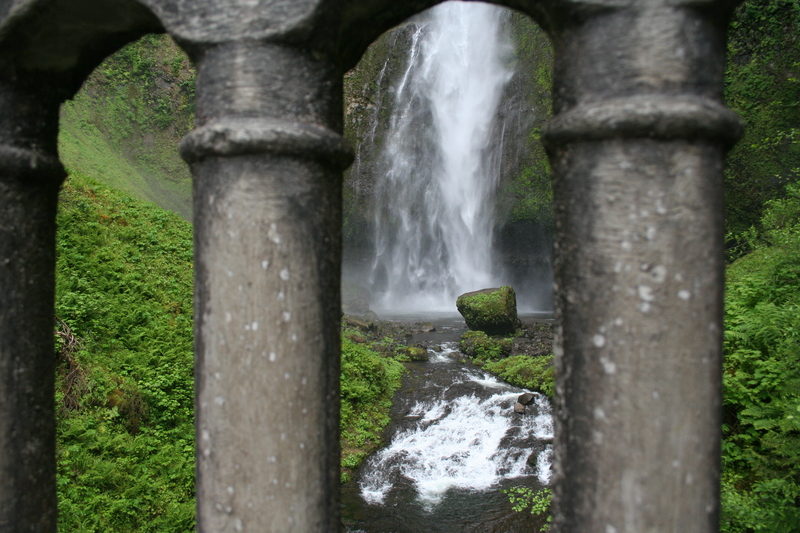 4 To explore the hidden mysteries of Nature, and the latent powers of man. Subsequently a fifth object of the Society, the destruction of Christianity, was revealed. Pember later says, “It will, therefore, be seen that this foe has made a formal declaration of war.” This war at the beginning was not the genocide of Christians spoken of by the more recent New Age authors such as Barbara Marx Hubbard, Acharya S., and Alice Bailey. In the beginning they sought to infiltrate and corrupt Christianity. It becomes clear that the “one forth” who must be eliminated from the social body, as Barbara Marx Hubbard alleged, are those faithful Believers who keep the commandments of God and have the testimony of Jesus Christ (Rev. 1:2, 12:11,17; 14:12). 1 Two Kingdoms by Pastor Anton Bosch; Revised by Michael Rogers. 3 Wm. C. Irvine; Heresies Exposed. 8 blessedhopechapel.org; The Coming Persecution. 10 G.H. Pember; Earth’s Earliest Ages; published 1876 by Hodder and Stoughton. Chapter 13, Theosophy. Matthew 7:6 Do not give what is holy to dogs, and do not throw your pearls before swine, or they will trample them under their feet, and turn and tear you to pieces. There is some interesting word usage going on here and so had the opportunity to pick them apart with a friend of mine. The first to consider are the words “do not”, which implies a command, not a suggestion. Do not, kindred to the very well known thou shalt not as used in the 10 commandments, very serious word choices. What is holy? Strong’s identifies holy as 40 h’agios – properly, different (unlike), other, otherness, holy; for the believer, likeness of nature with the Lord because different from the world. It implies something “set apart” and therefore “different (distinguished/distinct) because special to the Lord. Mark 6:20…Herod was afraid of John (the Baptist), knowing that he was a righteous and holy man. 2 Timothy 2:21 Therefore, if anyone cleanses himself from these things, he will be a vessel for honor, sanctified, useful to the Master, prepared for every good work. We know that through Christ we are separated, set apart from the world, used by the Lord to be an influence to the lost and dying. This is why we separate ourselves from worldly things, desires and influences to be counted as holy and righteous. Do not give what is holy to dogs. Strong’s 2965 k’yon explains dogs as scavenging canine, a spiritual predator who feeds off others. Huh? A spiritual predator who feeds off others. A true “selah” moment. A loose dog was disdained in ancient times – viewed as “mooch pooch” that ran about as a scavenger. “Mooch Pooch” – fitting, I like it. We’re coming back here. The dogs are evil workers, who put their confidence in their flesh, in whatever they have conceived in their own fleshy minds to be true. They go about from place to place taking what does not belong to them, they are beggars and liars using their fleshy lies to seduce money and fame from the untrained, the unsuspecting, those who are bent by emotion rather than by fact. 2 Corinthians 11:12 But what I am doing I will continue to do, so that I may cut off opportunity from those who desire an opportunity to be regarded just as we are in the matter about which they are boasting. 13 For such men are false apostles, deceitful workers, disguising themselves as apostles of Christ. 14 No wonder, for even Satan disguises himself as an angel of light. 15 Therefore it is not surprising if his servants also disguise themselves as servants of righteousness, whose end will be according to their deeds. The plan is to waylay the works of satan by cutting off those – the mooch pooches – who seek fame and admiration from their followers, those they have deceived. This has been an ongoing process as Paul is pointing out that what he does, he will continue to do. Sound familiar to anyone here? There is more here in this scripture that needs to be looked at. Paul is going after false apostles, those who have disguised themselves as apostles of Christ. In Matthew 24:5, Christ warns His disciples – “For many will come in My name, saying, ‘I am the Christ,’ and will mislead many.” The “mooch pooches” use the name of the Lord all over their wares, just as liberally as a southern person uses sugar for their iced tea. Yet, there is no sweetness to be had, it is all rancid, putrid, crawling with flies. They have come in His name, yet know nothing of Him. Paul continues that these false apostles are of satan in that he also disguises himself as light. I am reminded the words of Jesus in Matthew 8:44 “”You are of your father the devil, and you want to do the desires of your father. He was a murderer from the beginning, and does not stand in the truth because there is no truth in him. Whenever he speaks a lie, he speaks from his own nature, for he is a liar and the father of lies.” There is a distinct connection between satan and his followers – the truth is not in them – and we are seeing how to make that connection and how to handle these men and women once they are identified. So now that we can see more clearly, Matthew 7:6 tells us do not give what is set apart for God to those who have no regard for Him. Some will be disguised as apostles of Christ, those who cling to no end to their lying doctrines of demons. Others will simply be those who will not hear the truth of the gospel. We will know them because they will be the ones without ears to hear. To continue, do not throw your pearls before swine. It is of no surprise to anyone here that pearls are of great value. I prefer gemstones, especially the blue ones, but many ladies like the pearls, and that’s ok. The Lord has regard for them as we see in Matthew 13:45 “Again, the kingdom of heaven is like a merchant seeking fine pearls, 46 and upon finding one pearl of great value, he went and sold all that he had and bought it. This is what we do, as we lay down our lives, giving over our will and maybe all that we have – our homes and families – for Christ, the pearl of great value. This is the fun part and I do love my pork, but the bible, especially the old testament and those who follow the strict dietary laws of the middle east detest it. And here we have it used symbolically for what it used to be, that forbidden, cloven-hooved, dirty animal – the swine. It is common knowledge that pigs can become quite viscous in their pens when given food. The scripture is telling us not to throw – toss, make sudden motion – our belief, our pearls to those are considered like swine, those who upon hearing the truth have no regard for it, and instead trample our words, and turn to tear us apart. Sometimes this is verbal, having spiritual affect, and for others it is to literally take their lives.I have to point out, that in many of the verbal attacks against me I have noticed an increase in the viciousness, murderous intent of their words. Maybe you have too. I believe the gospel is for every person ever born on this earth and that Jesus died for all of us, and that it is the will of God that all would come to Him in repentance as sinners. I believe that through Christ we are given forgiveness and a relationship with the Father God, to one day live forever in His kingdom. I also believe the blessings given to us in this life are wonderful, yet nothing to be compared with what awaits us in “that day”. I believe we are called to spread the gospel as the Lord leads and not to hold back simply because of threats made against us, whether they be implied, verbal or physical. But, here the bible is giving is clear distinctive instruction, even commands on how to handle people who are not willing to hear or even consider the truth set before them. It is giving us information to identify them and how to handle them and their false teaching. Knowing who to approach and how comes with discernment and guidance only the Holy Spirit can provide. Titus 3:10-11 Reject a factious man after a first and second warning, 11 knowing that such a man is perverted and is sinning, being self condemned. 2 John 9 Anyone who goes too far and does not abide in the teaching of Christ, does not have God; the one who abides in the teaching, he has both the Father and the Son. Two years ago today, my husband’s son was murdered in Las Vegas. The following is a copy of the impact letter I wrote to the judge for her consideration in sentencing the man who killed him. I offer this today to Steven’s memory and for those of us who share in the loss of our children. God sees all things. Nothing escapes His gaze or His righteous judgement. 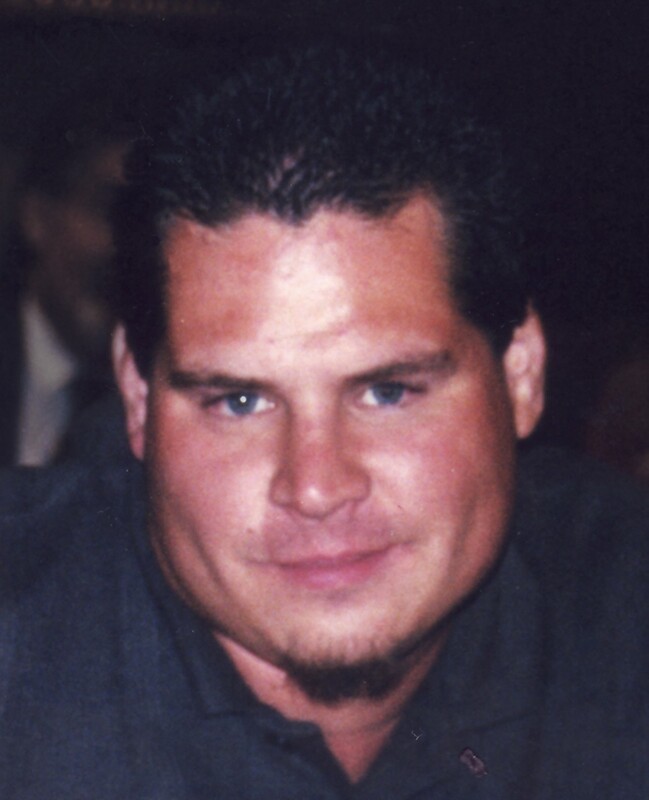 I am addressing the untimely death of my step son Steven, who was forever taken from us in an act of rage, and outright murder. Steven was my husband’s son who I met when he was about 9 years old. He was playful, curious and strong, and grew to be an astonishingly handsome man whose looks were striking. His death has created a huge hole in our hearts and also in our lives. Every person within a family has a special place that is only for them. That place is filled by the many ways of who they are. It is not a place filled by great social or societal accomplishment, but in small things that are shared, fun things, silly jokes that no one else “gets”, curious things, the things of laughter and of tears, of struggle and of resolve in things learned, in growing and growing up, things that only touch families. Why? Because we know of each other and are known by each other, creating the intimacy of family that God had in mind when He put us together. When a person is taken from their family that place is forever lost, the family is not what it was while that person was alive and it will never be so again. It has to reform, but is it forever broken. We are broken. The place that was Steven is now empty; it is a giant hole of nothingness and it will never close. Steven will not be in the car that pulls into the driveway. When our phone rings his voice will not be heard on the other end. There will be no more well wishes on birthdays and holidays. There will be no more food fests and curiosities shared in the kitchen. He was a son, a brother, an uncle, a cousin, and he was a friend. He was a big brother to my two daughters, especially my youngest – Jessica – who grew quite close to him just before her own death. Steven will not be here to continue to inquire as to how I am in losing her, his condolences are forever lost. His memories that he shared with her and of her will never again be repeated in my ear. In a sense, the loss of her is renewed to me in his death, in his absence. I will not see the blazing intensity of his eyes looking back at me in “those” conversations we often shared of life, of faith of relationship. As for the future, there will be no grandchildren, no “little Stevies” to run around and carry on and remind us of Steven, his strength, his great looks his beautiful heart and smile. After his death we met with some friends and neighbors there in Las Vegas who knew him. Every one commented on his helping nature, his great heart, that he was always around to help others despite his own problems or needs. We found those stories greatly encouraging because that was the Steven we knew too. For him was formed the motto “Always had a heart to help others”. We also met with a member of the police department, a field officer, who talked with us about Steven and assured us he was truly trying to work out his problems. About one year before his death, Steven was diagnosed with Bi-polar. That diagnosis explained to us the suffering that he experienced in his lack of focus, the extremes in behavior, his ups and his downs. It explained to us why he could never just be who he was, or recognize the simple fact that he was hugely loved, a part of a very large family who nearly moved heaven and earth to help him. He began treatment and medication and for the first time we saw his focus, his desire to grow, a new ability to work in gainful employment, to settle, to begin to understand on a new level our love for him and how important he was to us as a family member. We saw a deeper relationship forming between us, longer conversations of encouragement shared on both ends, of love, courage and support. We had a hope that had not been there before. A hope that was lost the day he died. So again, all that Steven was to us, all that he could have been in the years to come was taken away forever. How do I explain to you the impact of the loss of a child? It is my second time around. Truly, there are no words good enough, nor paper long enough to express that loss, that grief. It is a loss that will never end, as it is renewed every day upon waking. It is to wonder if why my own heart beats, or why it is necessary to draw in one more breath. How can I possibly go on without that life, that person I once knew who used to look at me, talk to me, laugh with me, and even argue with me? Yes, I miss that too! It is a loss that is lived out every moment. The excruciating pain that is felt lessens as time passes, but it never heals. The emptiness from the hole in all of our lives, and in our hearts that was Steven will always be there. No one can take it away, no one can fill it – ever. When I have tears and grieve over his death, they are not just for me, they are for the entire family. The grief I feel is for my beloved husband Steve, it is in my knowing first hand the horror of losing a child, the pain, the loss, the endless questioning of “why”. It is in looking in his eyes and knowing the heart that I love suffers as I had suffered. I cry tears for him because I completely understand, I feel it with him, I walk it out with him every day. The grief is for Steven’s mother Kathy, whose own grief sent me to the floor on numerous occasions, again, knowing firsthand what she felt the shock, the horror, in our first conversation over the phone, more tears than words. 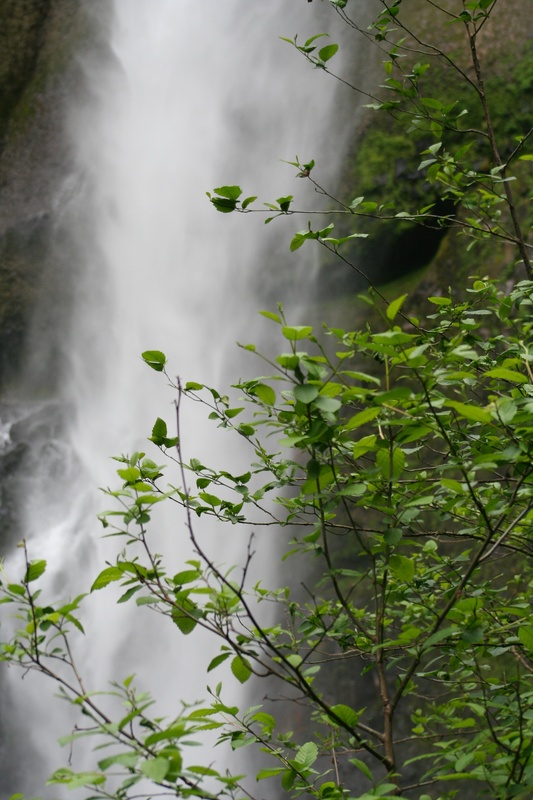 Grief shared of our lost son…her son…their child…Steve and Kathy’s…their heartbeat. It is the initial shock and horror continued with the repeated loss, grief, tears of others, people who I love and who love me. People who loved Steven now with a loss that will never end. When the Lord said, “You shall not murder” He did so in His great wisdom. Life is His to give and His to take. He knew the endless suffering that would come to families, to those who love and who are loved, at the hands of a murderer. Your Honor, I thank you for your time and consideration.